In the pages of HEXAPOLIS, one often comes across the name EPFL. 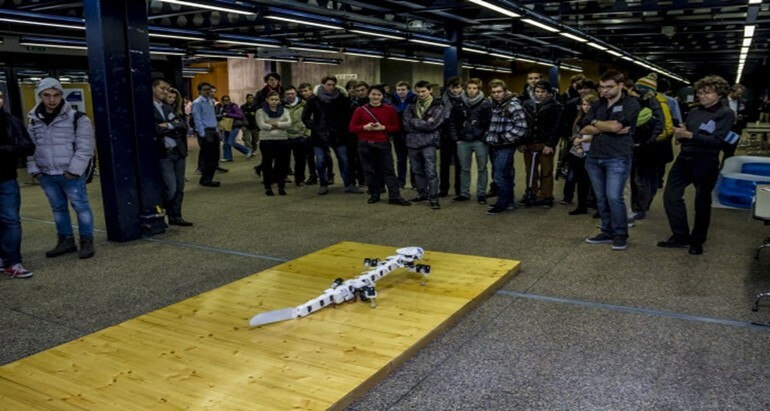 Situated in Switzerland, the École Polytechnique Fédérale de Lausanne is a world-renowned research institution pioneering in the fields of science and technology. 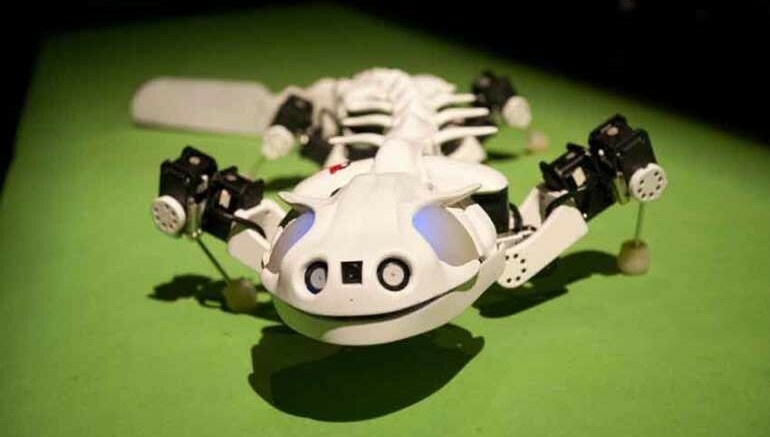 From self-repairing electrical circuits to nanosized motion sensors that could detect extra-terrestrial life, the researchers at EPFL have been the front-runners in the scientific community for quite some time now. 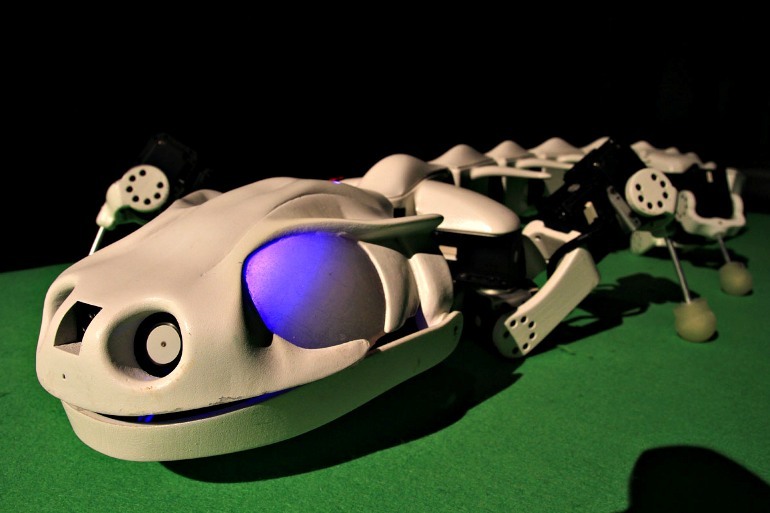 Currently, a team, led by Auke Jan Ijspeert, is developing Pleurobot, a versatile bio-inspired swimming robot that resembles a salamander. Tracking up to 64 points on the animal’s skeleton we were able to record three-dimensional movements of bones in great detail. 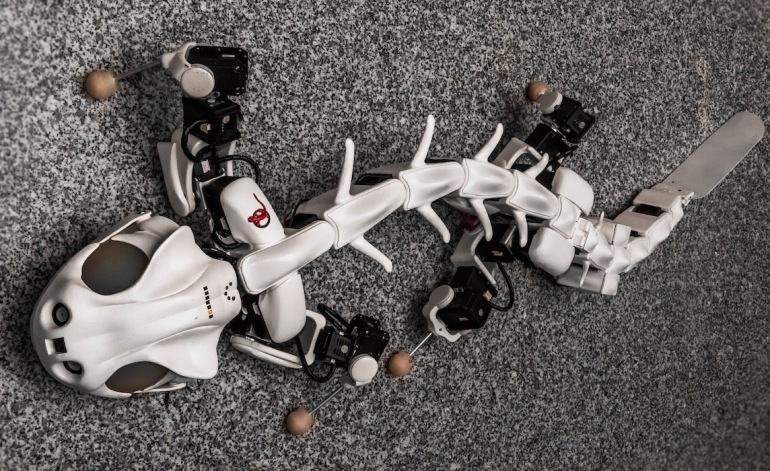 Using optimization on all the recorded postures for the three gaits we deduced the number and position of active and passive joints needed for the robot to reproduce the animal movements in reasonable accuracy in three-dimensions. 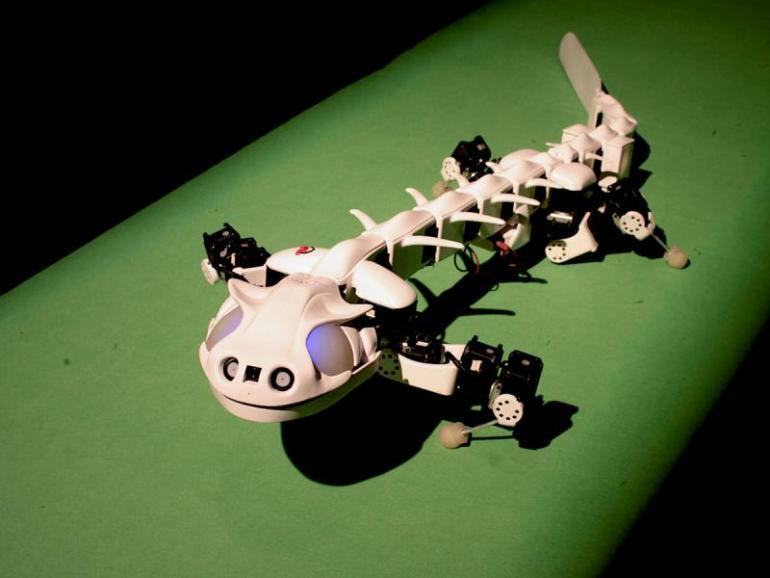 Our main goal is to further understand the way that the nervous system coordinates movement in vertebrates. 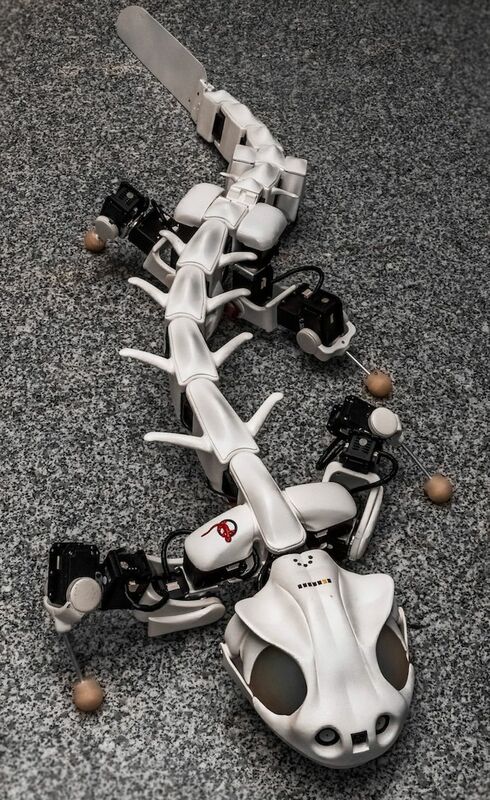 Pleurobot’s design, with 27 degrees of freedom, allows us to test more advanced mathematical models of the locomotor nervous system towards richer motor skills. 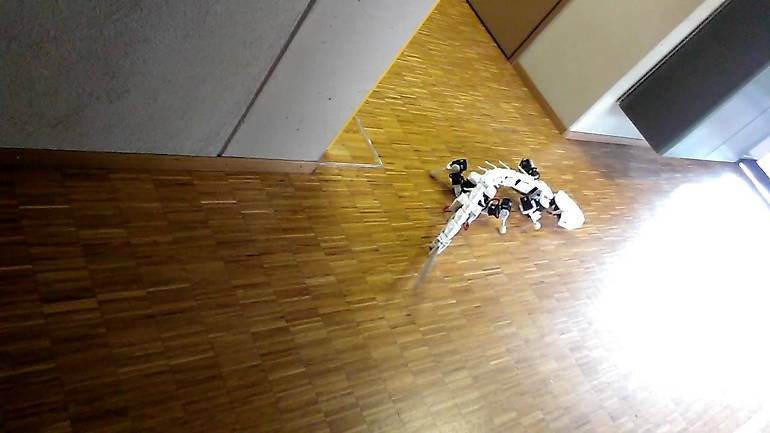 Apart from neuroscience, Pleurobot finds interesting applications in robotics for search and rescue as well as paleontology. 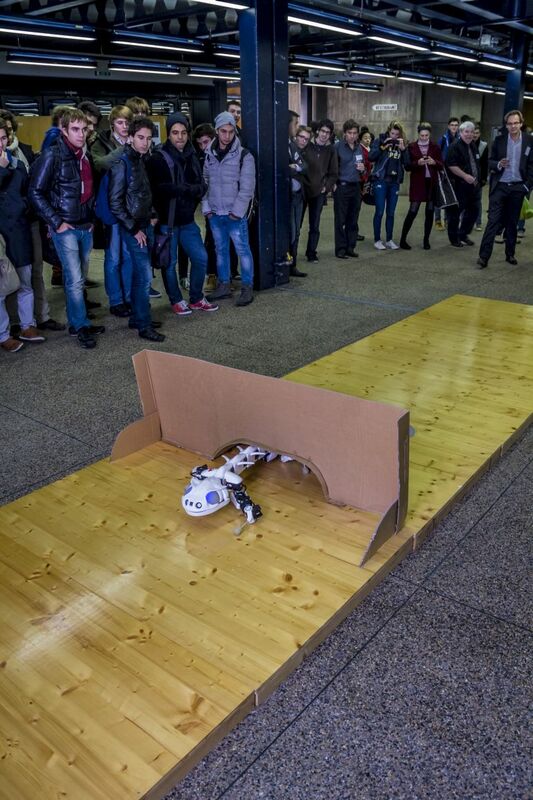 [It’s] features may one day enable Pleurobot to help in search and rescue operations. 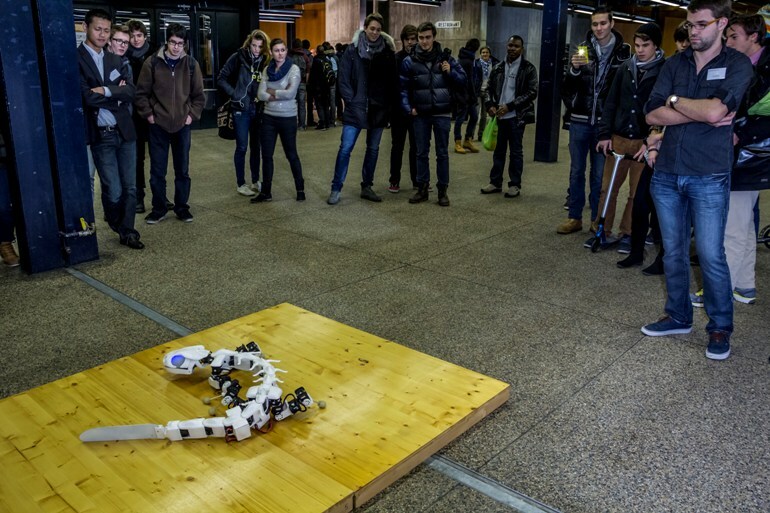 The Pleurobot has been displayed at the NCCR site in Lausanne.